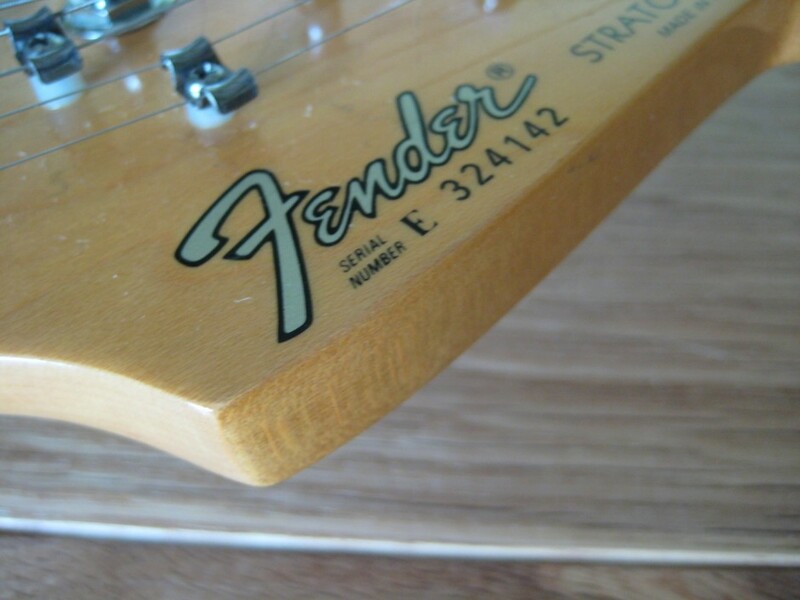 This guitar was bought new in 1983 by its one and only owner and played infrequently over the next 35 years, spending most of its time in its case under the bed. The condition is exceptional, and apart from one ding, as close to new as you’d ever find a 35+ year old guitar in. 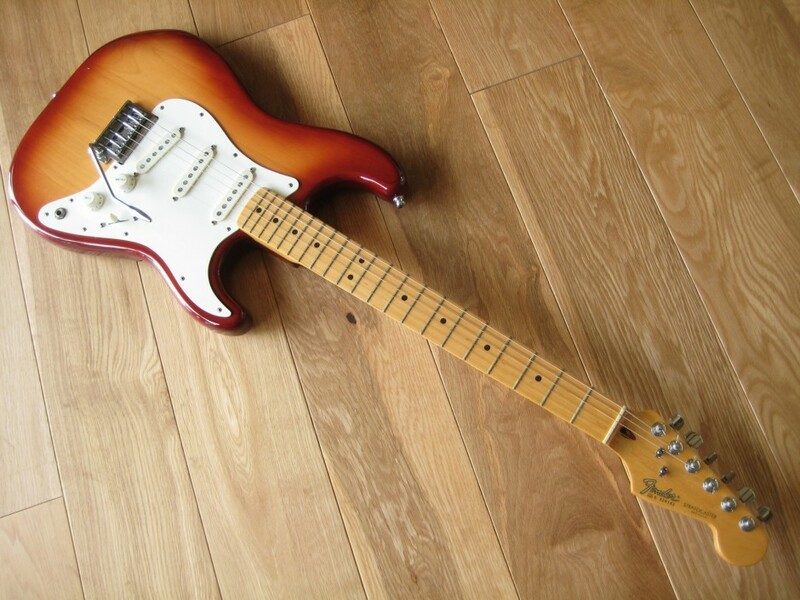 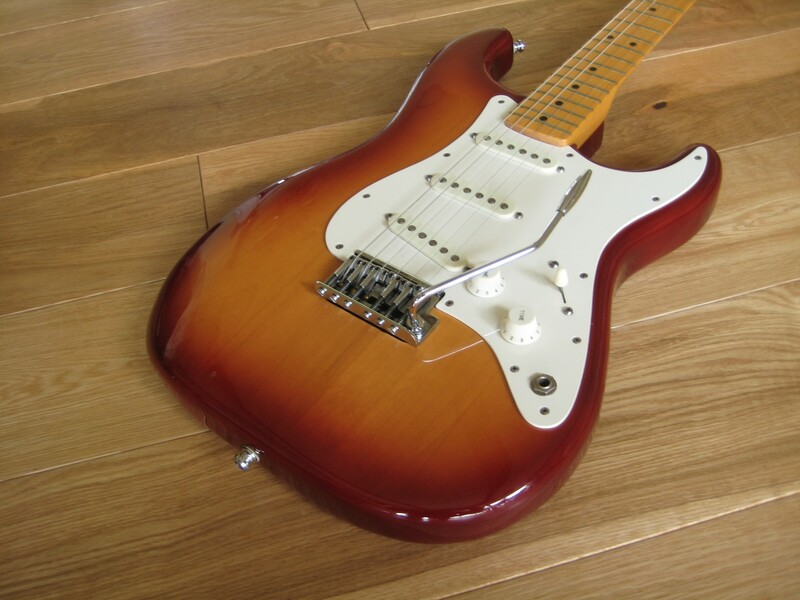 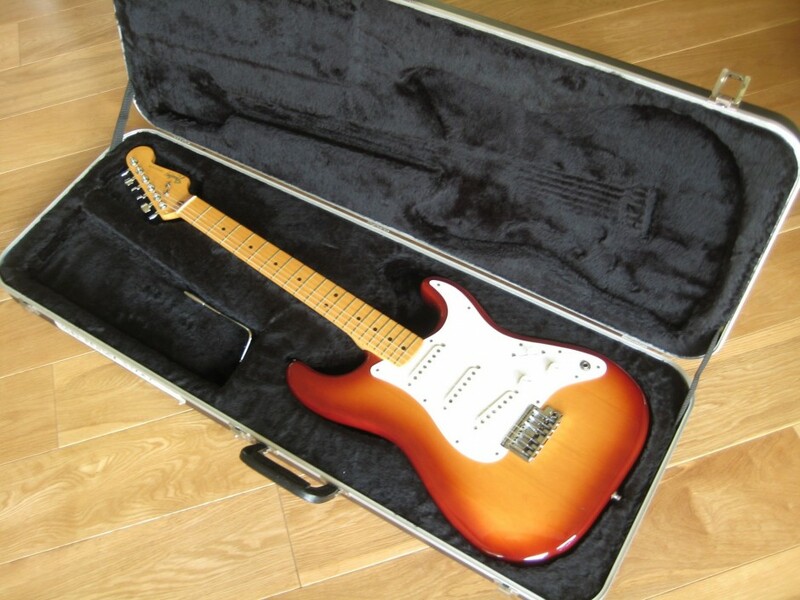 This is the rarer “2 knob” Stratocaster made for 18 months only and finished in “Siennaburst”. Several major changes were made to the basic strat platform that had been widely unaltered since its inception in 1954. 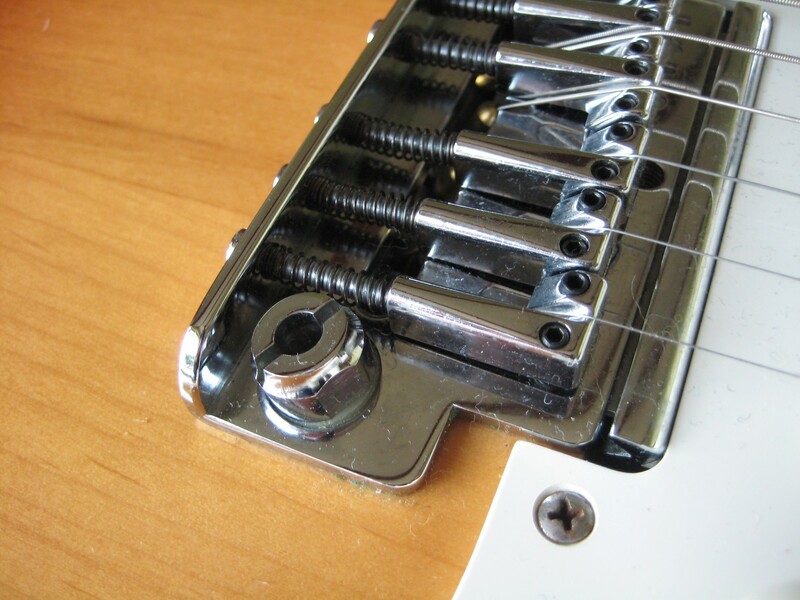 The basic 6 screw bridge and tremolo system was changed to a newly designed “Freeflyte” tremolo/bridge. 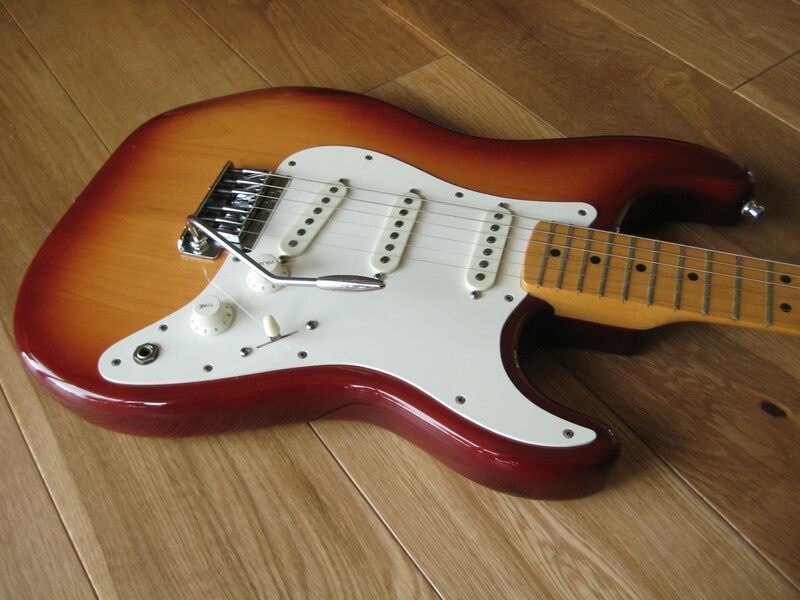 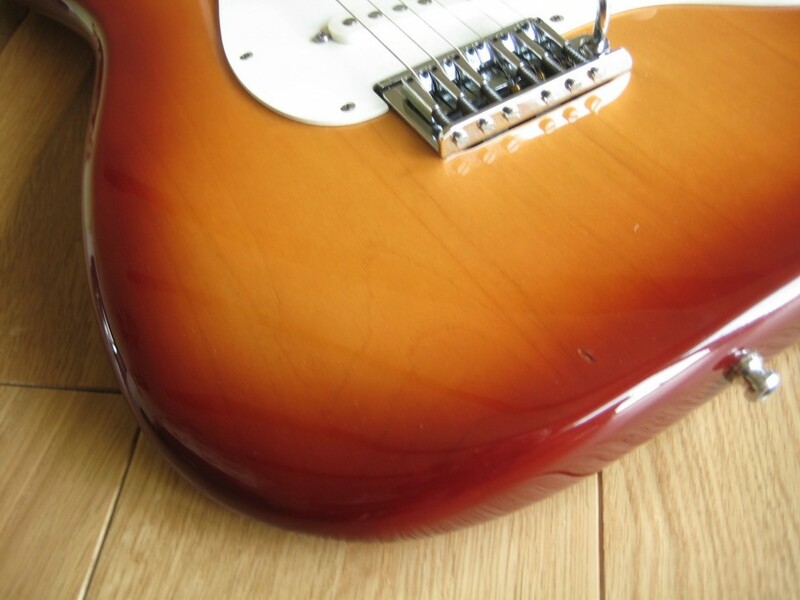 This was a major departure from Leo Fender’s original design, and utilized top-loading strings, with the tremolo springs hidden under the pickguard, rather than on the back side of the guitar. 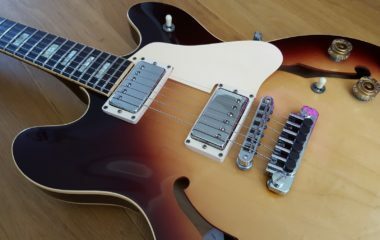 This eliminated the need to route the rear of the body at all. 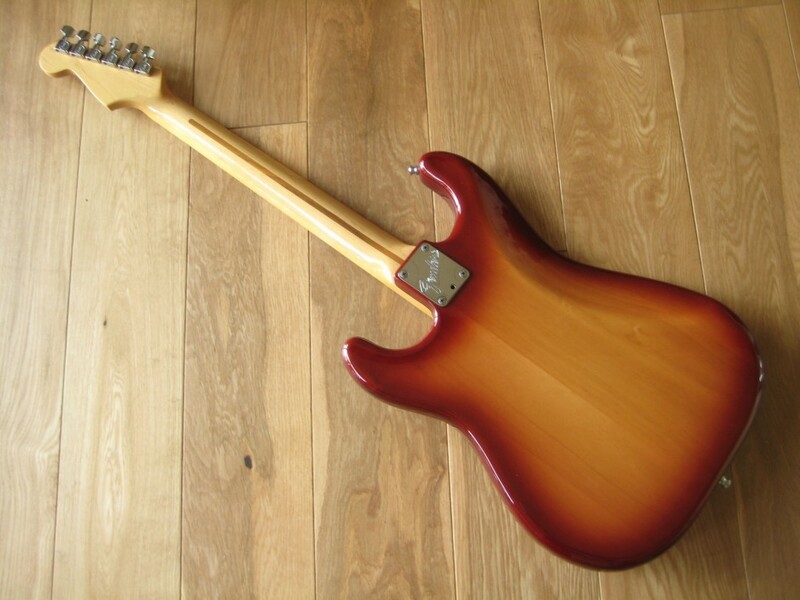 As a result, the backside of a 1983 Strat is completely smooth, with no tremolo cover or string ferrules. 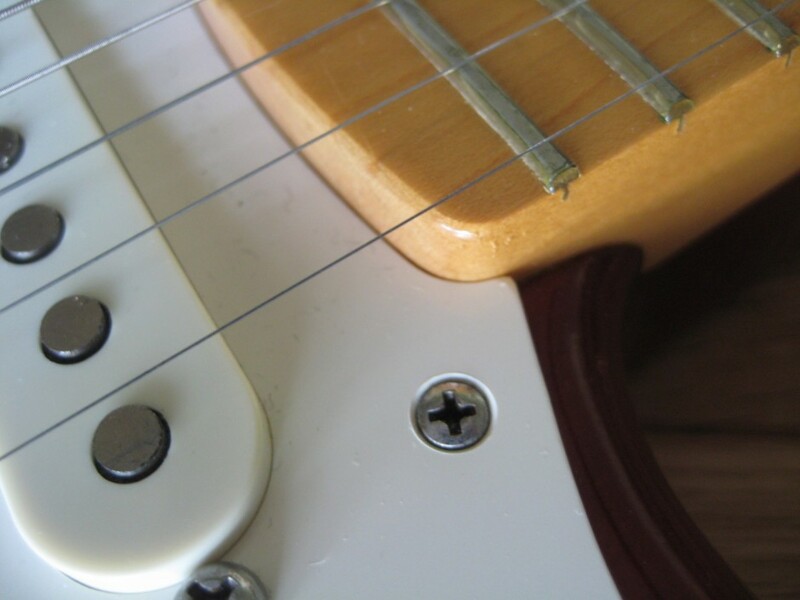 The tremolo arm was also a “push-in” type, with a chrome tip. 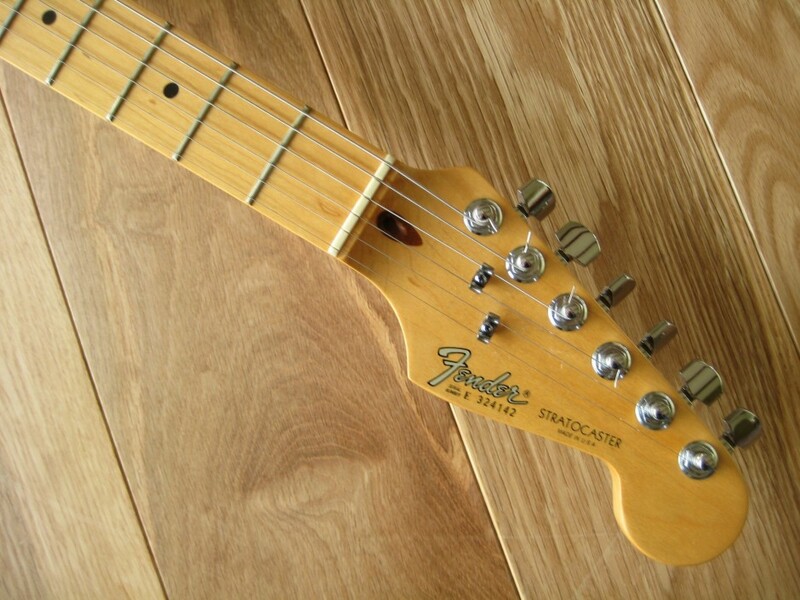 This was the first time a Strat was ever offered with this type of arm, as they had been threaded (and with a plastic tip) every prior year since the guitar’s debut 30 years earlier. 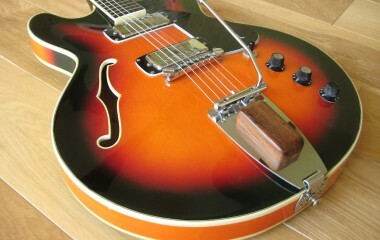 Superb in every way, even the case looks new! 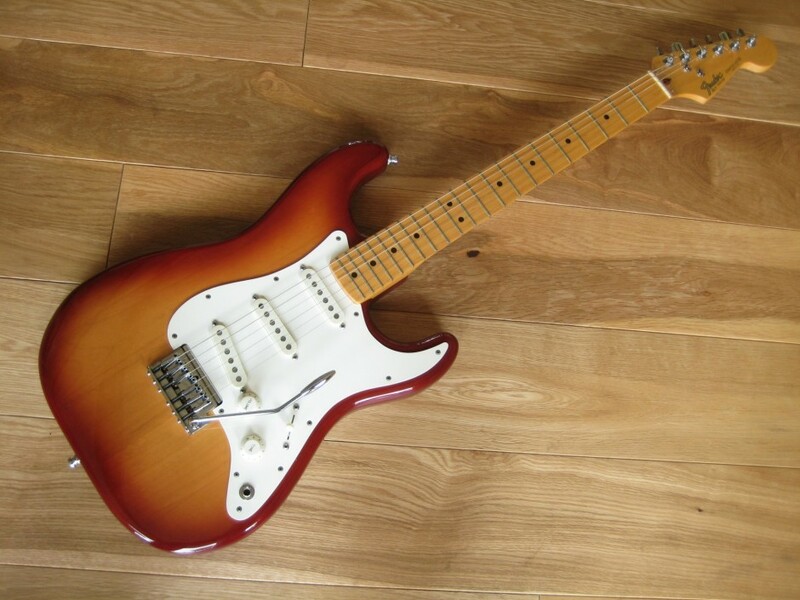 A worthy addition to any collection but also a lovely guitar to play – the best of both worlds at the same price as a new Strat.